These new perks will be rolled out starting Monday, April 28. FastPass+ at Walt Disney World has been an ever changing animal. We've seen it evolve from random testing; to testing by only resort guests; to testing park-wide, getting rid of Legacy FASTPASS; to just this week when advanced FastPass+ reservations were rolled out to all guests. (For those who missed the announcement, Guests who are staying off-site now have the ability to make advance FastPass+ reservations, up to 30 days in advance. 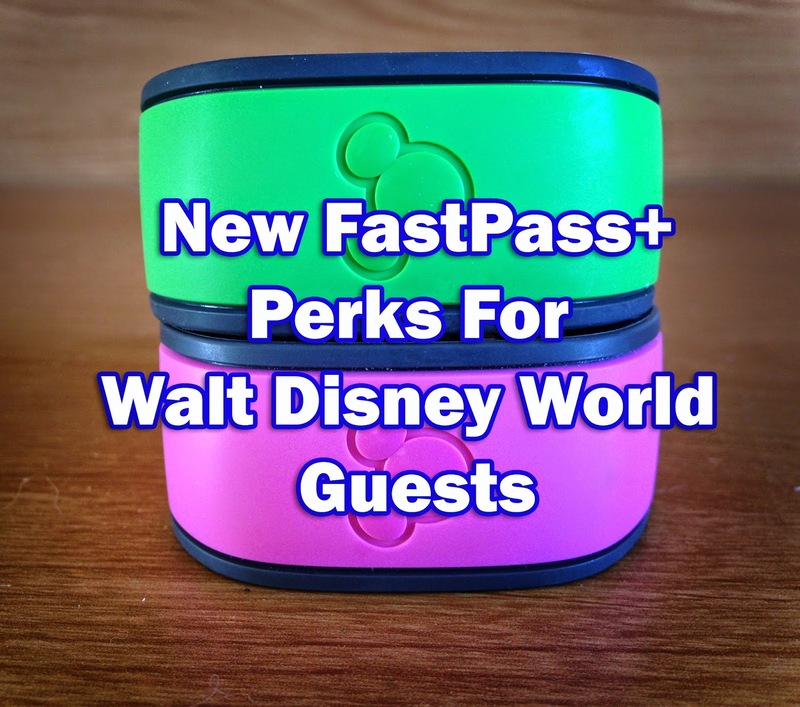 See this blog post for more details about the entire FastPass+ and MyMagic+ experience.) It really has been such a roller coaster following it all. The first issue that people generally had with FastPass+ was they just didn't offer guests the ability to get enough FastPass+ reservations in a day. Disney was only offering guests the chance to make three. People, especially Disney fanatics who were used to getting more FastPasses than three per day, were very upset by the limit. It appears that Disney is now going to address this issue! This is a wonderful idea and it will be interesting to see how it plays out. First, it still keeps things fair for those who make their reservations day of (there will always be those guests and they should get the chance to have a legitimate pool to choose from...I know some may disagree with me on that, but they paid the same money to get in the door you did, they shouldn't get shafted.) But this change will allow people to still get the additional FastPass+ reservations they wanted to be able to have, but couldn't. This opens up so many possibilities. This of course, changes the ball game. This means that the strategy of making your FastPass+ reservations for later in the day not as appealing. Also, I wonder if that will mean that standby lines will get even longer for those attractions that didn't used to have lines, like Haunted Mansion or Pirates of the Caribbean? Currently the lines for these kinds of attractions have ballooned. Though, now that we'll be able to make additional FastPass+ reservations for those attractions if we want to, it may end up making these lines shorter...hmmm.....I'm just not sure how that will all shake out yet and will intriguing to see how it does. It will also be interesting to see how this plays out at both Epcot and Disney's Hollywood Studios, where guests have to choose from tiers. I'm guessing that once you start choosing your fourth FastPass, it will potentially allow you to access any of the attractions, if they have times available. Again, this is a welcome perk, because I am a Park Hopping fan. I enjoy being able to head to Animal Kingdom in the morning, leave by lunch, and then head to Epcot for the evening. Having to choose which park to make FastPass+ reservations was very difficult. What are your thoughts though? Think these are nice additions? Or still think FastPass+ is the most awful thing to hit Walt Disney World and these additions won't change your mind. Let me know in the comments section or on the Facebook page. Haha! You're preaching to the choir on that one. I would have absolutely picked a purple band...instead of pink. This is fantastic news but if I'm reading this correct only allows you to get a fourth rolling fastpass+ after using your initial three. Here lies the problem, let me explain, let's say I go to MK at Rope Drop armed with my three pre-selected fastpass+ choices, one of which is for Wishes. So after using my first two fastpass+ I now can't get anymore fastpass+ till after 9pm but it's still only lunch time :0. This is surely seriously reduce the number of people who spread out there FP+ selection and who would now select an evening parade or firework FP+ prior to mid afternoon/early evening. Don't get me wrong this a great move forward and let's hope that the next stage is simply rolling FP+ where you hold let's say 3 at a time, as this still lacks the ability to get a FP after 2 hours if the FP was for much later in the day that the old system did. I'll give Disney the benefit of the doubt. I agree Jennie...it does feel like a nice mix of old and new and a good way to put it.